On the Seventh Sunday of Easter we are in prayerful expectation of the coming the Holy Spirit next Sunday at Pentecost, just as the first disciples were. The Easter season concludes in a week with Pentecost. How are we preparing for the outpouring of the Holy Spirit? In today’s First Reading, just after the Ascension, the disciples gather, wait, and pray. The angels had to give them a little nudge to see that it was over (see the First Reading for Ascension Thursday), but they’ve taken the hint and come down from the mountain. However, it is not a John 21 moment; they haven’t returned to their day to day affairs as if nothing had happened. Our Lord had promised they would receive the power of the Holy Spirit if they wait, so they don’t just fill their time with mundane little chores; they gather and pray. We are gathered in prayer today, just as we should pray this whole week, awaiting the Holy Spirit. In today’s Second Reading Peter reminds us that the Holy Spirit will be with us, but the mission we have received will still be tough. Just before his Ascension Our Lord charged the Apostles with going out and baptizing the whole world (see the Gospel for Ascension Thursday). About two millennia have passed. Are we there yet? He promised to be with them always, and that the power of the Holy Spirit would come upon them. If you read the Acts of the Apostles you see he was good on his promises, yet every Apostle but one suffered martyrdom. If we suffer in the name of Christ we know that the “Spirit of glory and of God rests” upon us. In today’s Gospel we’re reminded that even as we wait in prayerful expectation of the Holy Spirit we know that Our glorified Lord is praying for us too at his Father’s right hand. He may have vanished from the world’s sight at the conclusion of his earthly ministry, but now the Risen Lord has concluded his time with his faithful disciples on earth and ascended into Heaven until he returns one day in the future. All the glory Our Lord asks the Father for in today’s Gospel is now being given to him. He spent his time on earth glorifying the Father through doing his will. Now he can grant eternal life: to know God and to know whom he sent. 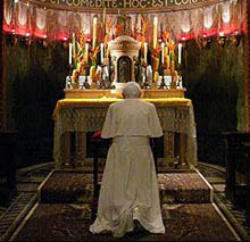 Now he prays for us to take up the torch, lit by the Holy Spirit, and continue his work. We all have prayer intentions that are very important to us, faced with dire situations. When tempted by discouragement it’s important to remember all the little prayers Our Lord has answered throughout your life. Good weather on a day you plan to picnic. Good results on an exam. A clean bill of health at the doctor’s office when some ache or pain has worried you. Thanking Our Lord whenever things work out, even if you didn’t dedicate a lot of prayer time, helps to foster more trust that he wants what’s best for you. Remember: he knows what you need before you ask. Readings: Acts 1:12–14; Psalm 27:1, 4, 7–8; 1 Peter 4:13–16; John 17:1–11a. See also Ascension of the Lord, Cycle A. Today we’re celebrating Christ going home to Heaven. His mission on earth is accomplished. The angels are cheering at his return. The souls that were waiting for many years, since the beginning of human history, for Jesus to come and re-open the way to Heaven are celebrating too from their new and eternal home. We are also thanking Jesus for the first thing that he did, and now continues to do, as soon as he got back to Heaven. Jesus is now at His Father’s right hand forever, asking him to help us get to Heaven too, and everyone we love. Like Jesus promised at the Last Supper, he and the Father are sending the Holy Spirit to help us get home by bringing us grace. Christ has ascended and now the disciples are waiting for the “whoosh” of the Holy Spirit. In today’s First Reading the disciples are still confused and have doubts, even though they’ve seen that Jesus has risen from the dead. They were expecting, like all of Israel expected, one big whoosh right away: they thought the Kingdom of Heaven was coming right now. They were waiting for one last bang and for everyone to be in Heaven and evil to be ended. They ask Jesus when it’s going to happen. Jesus answers: wait for the Holy Spirit to come, and they still didn’t get it, which is why the angels have to tell them to move on. When Jesus tells them it’s not for them to know the times or seasons, he’s teaching them what the whoosh of the Holy Spirit is like: unexpected and big. The disciples thought there’d be one big whoosh and everyone would be in Heaven. Jesus is telling them to hold on to and be ready for the whoosh. In today’s Second Reading St. Paul prays that we too receive this “whoosh” of the Holy Spirit when Christ arrives home. This “whoosh” will bestow on us wisdom and revelation, not just on the level of knowledge, but in our hearts as well. Paul describes well where Our Lord is headed today: to his Father’s right hand, where he’ll be put in charge of all things and be above all other powers. It also says he’s being given to us, the Church, as head over all things. In today’s Gospel Our Lord prepares the disciples, and us, for Pentecost. He may be ascending soon, but the Holy Spirit is coming in force. In the Gospel today, and for the rest of this week [or ten days], we’re waiting for that first big whoosh of the Holy Spirit that came to the Church on Pentecost, which is what we’ll celebrate on [Pentecost] Sunday. Jesus tells the Apostles to go out and baptize the whole world. When Jesus was baptized, the Holy Spirit whooshed down on him. Whenever we receive the sacraments, whenever we pray, and whenever we love each other the same thing happens to us. The Holy Spirit also fulfills the promise Jesus made in the Gospel today: by the power of the Holy Spirit the bread and wine today in Mass will become the Eucharist – the Body and Blood of Christ – and Jesus will stay with us in the Eucharist “until the end of the age” when he will return with the last big whoosh that will bring us all home to Heaven. The two men dressed in white in today’s First Reading are asking us the same thing today that they asked the Apostles, “why are you standing there?” Waiting for the whoosh doesn’t mean standing around and doing nothing. The Apostles were active as they waited. They didn’t know when the moment of grace, the whoosh, would come, but they knew they had to continue to do Our Lord’s will. He promised them power when the Holy Spirit came, but they were already at work. Sometimes we don’t want to do anything until we perceive a whoosh: a boost of grace, some insight into Our Lord’s will. We must remember that, in faith, we know the floodgate of grace is open and we are being soaked in it. He’s given us the sacraments, the Scriptures, and the help of the Church. We have plenty of grace to get to work. Readings: Acts 1:1–11; Psalm 47:2–3, 6–9; Ephesians 1:17–23; Matthew 28:16–20. On the Sixth Sunday of Easter we’re reminded not only of all the reasons for our hope, but the need to share those reasons with others as well. The Easter season has two weeks to go, and just as Our Lord ascended and left his disciples to continue his work, we have to be ready for the return to Ordinary Time that should be no less characterized by hope. In today’s First Reading Philip is one of the Christians scattered by the persecution that arose after the martyrdom of St. Stephen, but that did not deter him or the Apostles from evangelizing. Philip may have had to leave Jerusalem, but there was plenty of work in Samaria. Like Our Lord, he preached and performed signs, and people welcomed his message. He cast out unclean spirits and paved the way for his listeners to be baptized. The Apostles had remained in Jerusalem, despite the persecution, but when they heard of the work Philip had been doing in Samaria they knew they had something to give as well: the Holy Spirit. Even today we don’t just receive Baptism; we receive the Holy Spirit through the sacrament of Confirmation. Baptism expels evil from us and distances us from evil influences, and Confirmation strengthens us to go out and share the Gospel with others. In today’s Second Reading St. Peter reminds us that we must always be ready to share the reasons for our hope with others. We have received new life in Christ. It’s our duty to give others the opportunity to receive new life in Christ as well. This doesn’t just mean giving reasons, but showing in our lifestyle that hope has transformed us and sustained us. It is thanks to hope that we sanctify Christ in our hearts. It is thanks to hope that we don’t shy away from explaining the reasons for our hope to everyone who asks, whether they’re curious or skeptical. It is not just what we explain, but how we explain it that lends credence to our message: gentleness and reverence. Brusque and jaded Christians undermine the main reason for our hope: the love of God. If we’re mistreated as a result we are consoled by the fact that we’re imitating Christ in suffering for the sake of good. In today’s Gospel Our Lord prepares the disciples, and us, for Pentecost. He may be ascending soon, but the Holy Spirit is coming in force. 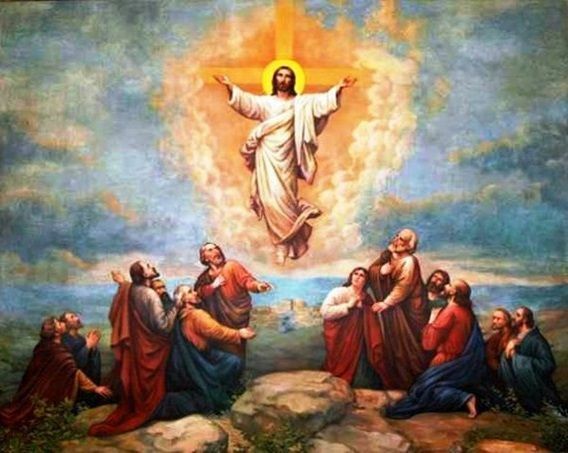 The Lord after the Ascension is only within view of those who have faith. The world had its chance, but without faith it was only a matter of time before they lost sight of Our Lord. After Calvary, as far as they were concerned, Jesus was gone. The Risen Christ appeared to those who believed in him. The Holy Spirit didn’t just come to us at Pentecost. Today’s words, spoken in the Last Supper, reminded the first disciples, and us, that the Spirit is always with us. Thanks to the Spirit we are never alone and even now, through the Spirit, we maintain communion with the Father and the Son. The love of God is the greatest reason for our hope, and the greatest way we can reciprocate that love is to obey Christ out of love. Readings: Acts 8:5–8, 14–17; Psalm 66:1–7, 16, 20; 1 Peter 3:15–18; John 14:15–21. On the Fifth Sunday of Easter Our Lord reminds that that we are called to continue his work, and to achieve even greater things than he accomplished during his earthly ministry. He built his Church with growth in mind, generation after generation, founded on him and the Apostles. In today’s Second Reading St. Peter reminds us that through Baptism we have been incorporated into the Church, and are now living stones in an edifice constructed with a spiritual and priestly purpose. 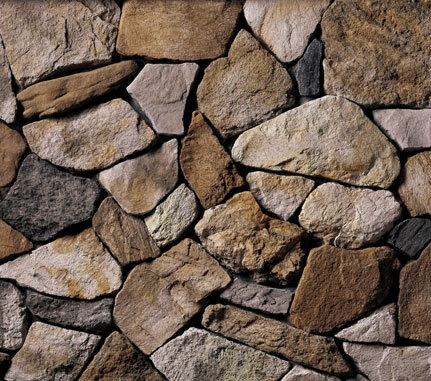 Our Lord described himself to the Pharisees and scribes as the stone rejected by the builders that would become the corner stone (see Matthew 21:42). They had rejected him, but the Father build the Church on him, and he made the Apostles the foundation for his Church. The Lord continues to build the Church through us, on the solid foundations of those living stones who have preceded us and our own efforts at holiness. A living stone is not just edified, but edifying. We are inserted into this spiritual and social structure and helped to support it and to remain solid. If our works are edifying it will attract even those who don’t know Our Lord to see where that special something we have comes from and to seek it out as well. In today’s Gospel Our Lord, at the Last Supper, prepares his disciples for the moment when he’ll be separated from them on earth and they’ll be expected to carry on his mission. He reminds them that they have a place waiting for them in Heaven, just as they have a place in his Church. He tells them today that they know where he is going. They know the way to the Father’s House too and don’t need him to show them. When the moment was right Our Lord returned and led every one of them to the Father’s House, just as he will lead us one day. In the meanwhile, we have to stay the course he has taught us, and, if we get turned around, ask for directions to get back on track. Helping people get back on track to the Father’s House is what we’re all called to do as Christians, but to do that we must know how to get to the Father’s House. Christ describes himself as the “way”: we show others the way to the degree that we imitate him. Our Lord became flesh and put some believers on the right track, and those believers have helped him guide us ever since. He sent apostles to the four corners of the world, and they still carry out their mission through us. This is the work he said would be even greater than his own ministry on earth. It spread to the entire Roman empire, then beyond its borders to the whole world. We’re called to continue these “greater works” that he encouraged his first disciples to do. The key is having faith in him. In today’s Gospel Our Lord describes Heaven not just as his home, but as a place for us to call home as well. Thinking of home evokes so many warm sentiments–rest, security, peace–and it also invokes the memory of the people there waiting to be with us. Many people today live a difficult situation at home, if they have a home at all, but they all dream of that peaceful place where they can be together with their loved ones. A simple family dinner, where everyone sets aside work, school, etc., to spend time together becomes a glimpse of Heaven as each enjoys the company and there are no worries to dampen the evening. Our Lord has prepared a place for each of us with Our Father in Heaven. How often do we dream of that? How often do we dream of the day in which life’s journey, with all the fatigue and trial, will be over and we’ll finally and permanently be home with the ones we love? How often do we see the need to remind others of our true home as well so that one day we’ll all be there together? Readings: Acts 6:1–7; Psalm 33:1–2, 4–5, 18–19; 1 Peter 2:4–9; John 14:1–12. The Fourth Sunday of Easter is traditionally called the Sunday of the Good Shepherd, and it is also the World Day of Prayer for Vocations. Our Lord the shepherd who wants to lead us to green pastures if we respond to his call. St. Peter in today’s First Reading explains to his astounded listeners how they can approach and enter into Jesus’s flock: through faith in Christ and Baptism. Peter has just concluded his discourse at Pentecost and given testimony to the Risen Christ as Savior to those who believe in him. Baptism is rightly called the “door which gives access to the other sacraments,” because it makes us members of Christ, incorporates us into the Church, and makes us share in his mission (cf. Catechism, 1213). It is thanks to Baptism that the Good Shepherd transforms us into his sheep makes us a part of his flock. Peter describes this invitation as a call by God to whomever the Lord wishes. The most fundamental call is to holiness, to repent and believe in Christ, in order to be forgiven and to receive the Holy Spirit. Baptism is the first step in leading a holy life. In this sense everyone has a vocation, and some, like Peter, the Apostles, and our pastors, are called to help us discover and answer the call as well. In today’s Second Reading St. Peter reminds us that Christ is the shepherd and guardian of our souls and that we are called to follow him by imitating him as well as accepting his guidance and protection. As at Pentecost, Peter speaks of a call by our Lord, and in this reading he explains what we are called to do: to be patient in suffering for doing what is good, knowing that it is a source of grace and an imitation of Christ. The Lord doesn’t call us to do something that he hasn’t done himself. The Shepherd laid down his life for us, his sheep, and he gathers us back into his flock, no matter how we’ve gone astray. He didn’t hand himself over to evil men alone; he surrendered to His Heavenly Father and the Father did justice for him by raising him from the dead and opening the way to our salvation. Like the Apostles that fateful night of his betrayal, we too were scattered like sheep, but the shepherd and guardian of our souls has gathered together all those who seek his protection and care. In today’s Gospel Our Lord teaches us that the only way to satisfy the call to holiness in our souls is through him. The call to holiness is a call to recognize Our Lord as the path and source of holiness. Our Lord uses the image of sheep who are accustomed to the voice of its shepherd and frightened by the voice of anyone else. The call to holiness strikes a chord in us, and that chord will clash with anything not in tune with Our Lord. Temptation also makes an appeal in our hearts, and Our Lord teaches us today that it will rob us of something if we let it. It is the voice of a stranger and, as our parents always taught us, we don’t talk to strangers. However, in his teaching today Our Lord doesn’t identify with the shepherd or the gatekeeper of the sheepfold. He describes himself as the “gate” to the sheepfold. Our Lord is not the only one who wants his sheep; he’s just the one who has their best interests in mind. The flock in today’s Gospel is already gathered. It is only through Christ that they can be safe in the sheepfold or led to green pastures. Our pastors are charged to shepherd the sheep, but they can only do that through Christ. If they don’t remain united to Christ, part of his flock, they will lead their sheep astray. Everyone is called to holiness, and Our Lord has put people in our lives who want to help us live up to that calling and fulfill it. He also teaches us to pray for workers to be sent to an abundant harvest. There is more work than there are workers. When we pray “for vocations” we pray especially for those discerning a vocation to the priesthood or the consecrated life. When we pray “for vocations” we also pray for the perseverance and holiness of those who have already undertaken the path to priesthood or consecrated life. The need for prayers doesn’t end at ordination or solemn consecration. Let’s pray for those who have responded to Our Lord’s call to work in his harvest. Lastly, let’s pray for everyone to simply seek and do the will of God in their lives. We all have a vocation to holiness, and holiness grows to the degree that we follow God’s will. Readings: Acts 2:14a, 36–41; Psalm 23:1–6; 1 Peter 2:20b–25; John 10:1–10.